The humans of Pinevale were prepared as they heard the drums of war being beaten by the orcs from Locwood. The two cities had been trading for years, so King Arrington was surprised when he first heard the news that the orcs planned to take his city. He had trusted the orc king, Baugh, and the orcs had been allowed free access to Pinevale. Arrington had no time to dwell on his poor decisions. He had to defend his city. A small group of about forty orcs had come to Pinevale two weeks before the attack and warned the king of the coming attack. The orcs, who called themselves The Yellow Hand, were the keepers of orcish magic. The group contained three mages and a dozen elite warriors; while the others were scholars and apprentices. The Yellow Hand vowed to help defend Pinevale, side by side with the humans. King Arrington was thankful for the warning, for he was able to summon the help of The Knights of the Coast. The knights were the humans only hope to hold off the orcs. Pinevale residents were glad to have the seasoned warriors among their ranks as the orc force approached. The knight’s armor gleamed, and even their horses were prepared for war. Most of the Pinevale soldiers were clad only in leather armor. His mother, Rahab, stepped from behind the curtain and pulled the belt holding her armor tight. She had a curved sword strapped to her hip and a small shield on her back. “Then get dressed,” she stated kindly. “I have your armor here,” she motioned behind the curtain. “While you get ready, I will walk you through my plan.” Jericho hugged his mother, and quickly started getting dressed. Rahab laid out a plan that would take advantage of their therian blood, and hopefully help defend the city of Pinevale. The two climbed silently over the wall and into the pine forest. “The drums have stopped,” Jericho noticed. “The orcs are now setting up camp,” Rahab reasoned. 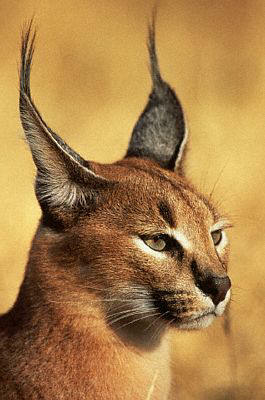 “That is where we must go.” Then she gracefully shifted her form; where a human stood, now stood a caracal. Rahab, in her new lynx form, headed toward the orc’s camp. Jericho changed into his lion form, albeit with far less grace than his mother. Then he followed his mom into the forest. Jericho and Rahab destroyed the morale of the orcs during the defense of Pinevale. The two of them would kill scouting parties, ruin the orc’s food supply, and steal weapons from inside the tents. The orcs, who were superstitious by nature, believed that the pines themselves were helping to defend the city. When Rahab heard these mutterings, she decided to elicit the help of a Yellow Hand mage, Gortav. Gortav followed the two therians by means of a morph spell. He changed himself into an owl, and Rahab would lead him to the desired location. With his magic, the Yellow Hand orc would take control of a large pine and have it clamber into the orc camp. Then he would have the tree fall, causing damage and general panic. It was during one of these attacks that Rahab saw a chance to strike a severe blow to the orcs. She spotted Baugh as he shouted orders and tried to minimize the chaos that was erupting around him. “Kill the king!” she shouted to Gortav, but the orc mage shook his head. Rahab took a deep breath then said calmly, “Keep the others off of us.” She and Jericho shifted into their hybrid forms; caracal and lion. Gortav launched a volley of fireballs into the heart of the camp, scattering the brutes. Baugh stepped out of the flames and saw the two beasts charging him. The orc king drew his heavy sword and beckoned them to come. Rahab got to Baugh first but had to duck aside to miss being split in two. She managed a weak strike against the king’s thigh, but his armor easily absorbed the damage. Rahab had caused Baugh to turn away from her son, and Jericho plowed into the king. He had hoped to wrestle Baugh to the ground, but the orc was stronger than Jericho expected. The orc took the hit, but did not go down. Baugh took his sword and attempted to plunge it into the werelion’s heart; but Rahab blocked the thrust with a downward chop. Jericho wriggled free, and the two therians stood face to face with the orc king. “Both of you die here, NOW!” Baugh shouted. Rahab lurched forward in an awkward motion. At first Jericho thought she was feigning an attack, but quickly realized the true meaning of her stumble. She fell in a strange fashion; catching her weight with her elbows as an arrow had clipped her spine. Gortav had not noticed the halfling archer in the tree. The mage quickly sent a wave of force to shove the arrow-slinger from his perch, but the damage had been done. Jericho’s first thought was to go to his mother, but she raised her hand to stop him. The werelion instead focused all of his hate on the orc king. Baugh swung at the therian, hoping to catch him while he was still stunned. Jericho dove toward his mother and snatched up her sword. Every swing by the orc was blocked by the werelion, who was far quicker. However, Baugh knew that time was on his side. Jericho quickly diagnosed the king’s plan, and his tactics shifted from defensive to offensive. Jericho imagined the orcs grabbing his helpless mom, and he snapped. He swung his mom’s curved sword with such fury and speed that Baugh could not possibly keep parrying. Jericho severed the orc king’s hand and the heavy sword fell. A backlash from Jericho sliced Baugh across his abdomen. The therian let the sword go after the cut, and grabbed the orc king’s helmet in his paw-like hands. Viciously, he ripped the helmet from his head; tearing off Baugh’s ear and snapping his neck. “Run!” Gortav shouted, and Jericho came out of his rage. 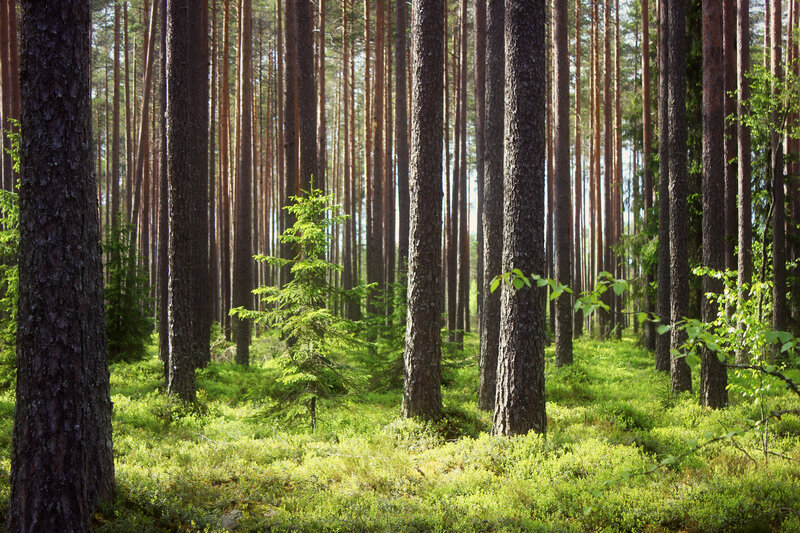 He scooped up his mom in his strong arms and headed back into the pines. The orcs made it back to the camp to find their king mutilated. They never recovered from the loss of Baugh during the battle. The halflings found it hard to drive the orcs to war without a leader. Their morale had been stolen. They were beaten long before the ogres joined in to help save the humans. Jericho, Rahab, and Gortav had cut the heart out of the orc war machine. Only a few knew of their exploits, and even fewer ever repeated the tales of heroism. Rahab preferred the anonymity. Rahab’s therian blood helped her heal from the arrow; although she lost the use of her leg. Jericho left Pinevale in an attempt to create a city where therians could live together, without fear or prejudice. Gortav, along with the other Yellow Hand orcs, traveled back to Locwood. They hoped to learn from the harsh lessons of the Halfling War, and become a stronger race. The ogres and the humans formed a strained alliance, for King Arrington was not going to trust so easily this time.